TULARE COUNTY (KFSN) -- In a Facebook post, the Tulare County Sheriff's Department says Detectives from T.A.G.N.E.T. Majors conducted overflights in the areas of Three Rivers and a creek in the outskirts of the Lindsay-Strathmore areas to look for illegal clandestine marijuana grow sites. During the overflight, Detectives located several large clandestine marijuana grow sites within the areas. On July 23 and July 24, detectives with the T.A.G.N.E.T. Majors and T.A.G.N.E.T. Units conducted operations to eradicate the illegal marijuana grow sites with the assistance of the Campaign Against Marijuana Planting Task Force. While eradicating the illegal grow site, Detectives found numerous chemicals, a large amount of trash and the diversion of the natural waterways in the area. 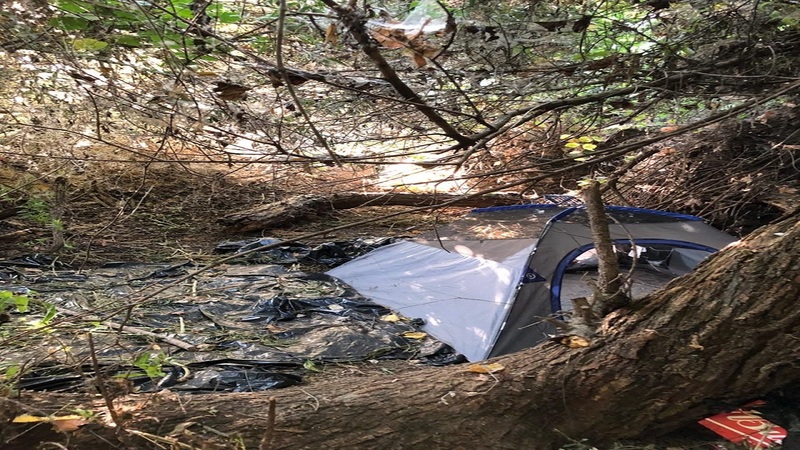 Detectives also located camp sites but were unable to locate any information on the identity of the suspects responsible for the illegal marijuana grow. During the operation near Three Rivers, 19,000 marijuana plants were eradicated and destroyed. During the operation near the Lindsay-Strathmore area, 2,000 marijuana plants were eradicated and destroyed and 80 pounds of processed marijuana were seized and destroyed. The investigation into illegal marijuana grow sites is ongoing and anyone with information is encouraged to call the Tulare County Sheriff's Office at (559) 733-6218 or they can remain anonymous through our TipNow Program at (559) 725-4194 or tcso@tipnow.com.